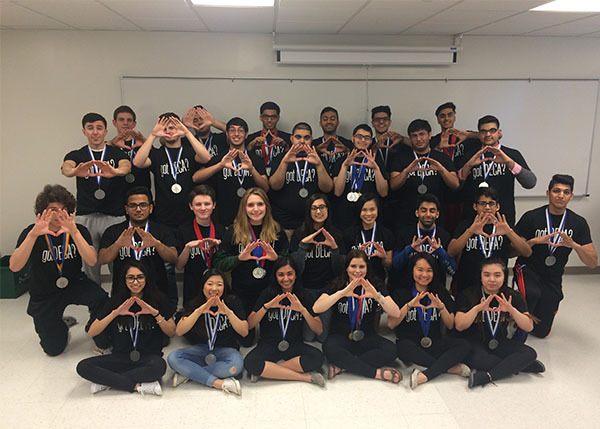 Members of Niles West’s DECA business club will be competing in an international competition in Nashville between Saturday, April 23 and Tuesday, April 26. The International Career Development Conference (ICDC) is an annual competition for high school students who are involved in their school’s business clubs. This prestigious tournament attracts over 15,000 students each year, resulting in tough competition. DECA sponsor Jean Attig explained that students had to qualify for the international level by first proving their business prowess at a more local level. Attig also commended the students for their hard work, both in and out of class. Some groups even worked with other businesses, including Hyatt and Discover, to collaborate on new employee engagement strategies. Senior Skylar LeVine, who worked with Discover, credited that experience with helping him reach nationals. “As an aspring business major in college, DECA has been great to prepare me and give me more exposure to business concepts. We had the opportunity to work with Discover, which was incredible and helped us get to nationals with our project about employee engagement,” LeVine said. Senior Tahmoor Taher, who has been involved with DECA for the past three years, said he felt that his time with the club was coming to a close on a positive note, with all his hard work being recognized. “I’m looking forward to going. Three years of hard work have paid off with this experience,” Taher said. DECA co-sponsor Eric Leuder was hopeful about the impact such a rewarding year could have on the future of the club. “I think a successful year and a lot of students with positive experiences just keeps increasing interest and building enrollment. When students see other students be successful and get recognized they naturally are curious,” Leuder said. Students attending ICDC include Lamia Chatriwala, Deven Dami, Alexandra Ehrenberg, Olivia Hofeld, Jahanzeb Khandwala, Skylar LeVine, Cindy Lee, Jason Morgan, Muhammad Musani, Taha Parekh, Dhruv Patel, Brandon Sanchez, Roshni Shah, Tahmoor Taher, Jobin Varghese, and Crystal Vu.